Sometimes it’s those simple defining pieces that make you different. The right ties can elevate any look and give you just the right touch of gentleman professionalism. Because with parties, work events and endless dinners your going to need some innovative tie options to keep things fresh. However an unkempt tie will make you look sloppy, no matter how formal the rest of your look may be. So one needs to be very tactful while selecting the perfect tie for the perfect outfit and occasion. TheUnstitchd helps you to select your defining piece!. 1) The Knit Tie – Well, these can’t be worn with everything but if worn properly they can go with a variety of looks. They are not for a formal look. They go very well with a casual outfit, with shorts and denims. 2) Seven Fold Tie – These ties are one heaven of a tie. 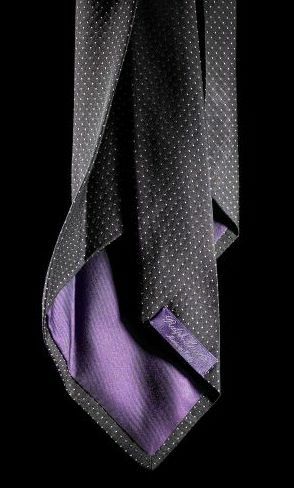 They are hand cut, hand sewn, luxurious silk ties. The name seven fold comes from the way a single piece of fabric is exactingly folded in on itself seven times creating a tie that drapes like fluids, hands straight and is very durable. It is a definite standout. 3) Vineyard Vine Ties – These are totally different from the other ties. These ties have little pictures printed on them, these pictures range from animals to food to hobbies to college logos. These ties cannot be worn with formals obviously but with casuals they are the perfect accessory! 4) Velvet Bow Tie – To make the evening all the more romantic, put on a black velvet bow tie on your black suit and she’s certain to fall for you! So these were the ones trending now in fashion.. But don’t forget to explore many others while your shopping for your perfect tie. You never know which one might just give you a perfect look!